Usually when I travel, I don’t venture to very high-end restaurants. 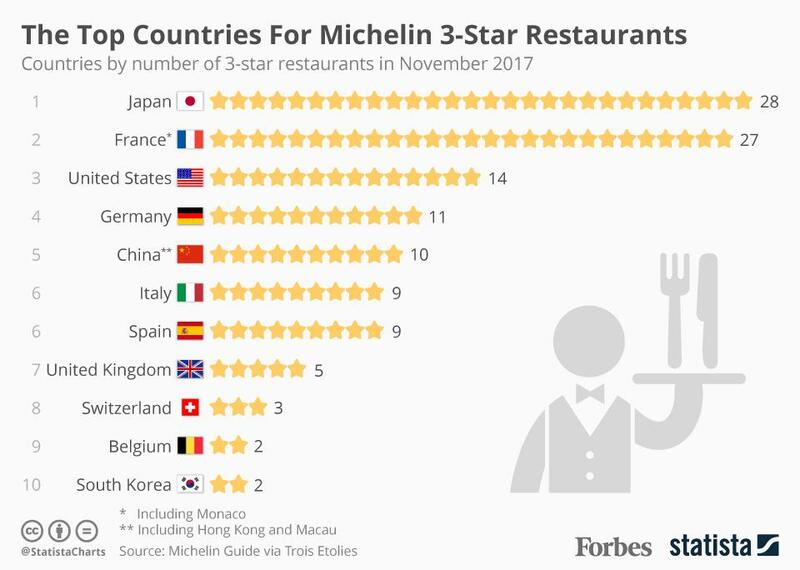 Whether it’s because I want to maximize on tasting local cuisine or curb my spending (traveling hurts the wallet), I don’t end up going to these fine-dining institutions. However, this time was different! 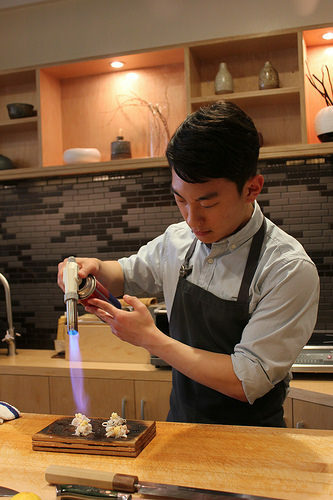 I wanted to get this experience in Japan, and ended up scoring reservations at a three-star Michelin restaurant. 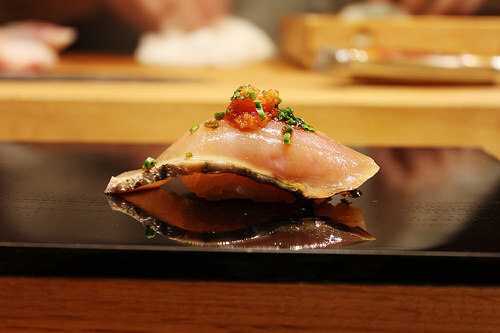 Since Japan is home to the highest number of Michelin Stars, I figured why not there? 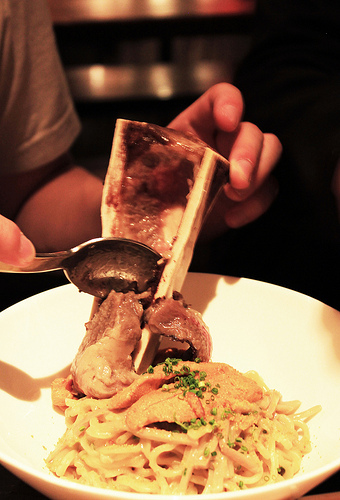 I locked in on Kyoto, the home of kaiseki dining, and pulled up the long list of places. Kikunoi appeared first on a list and was recommended by two of my foodie friends (thank you Mark and Teresa). 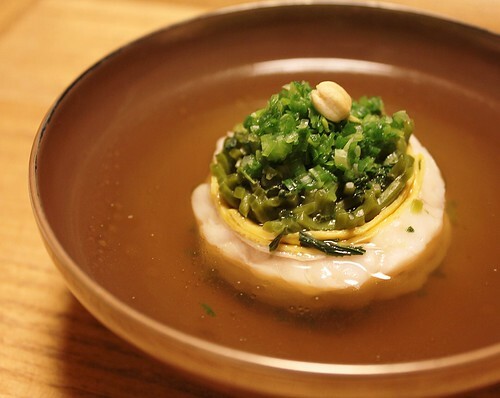 Having read a little bit about them – established in 1912 and third-generation chef-owner uses well water that looks like chrysanthemum flowers to cook their food – I was determined to go to such a special place, and got the reservation. It’s not easy making reservations – I’ve included my personal experience in the Reservations section below. Make sure to book at about a month ahead of time using your hotel, not an Airbnb. They want to make sure you will be in Japan for the reservation. The whole experience was pretty incredible. 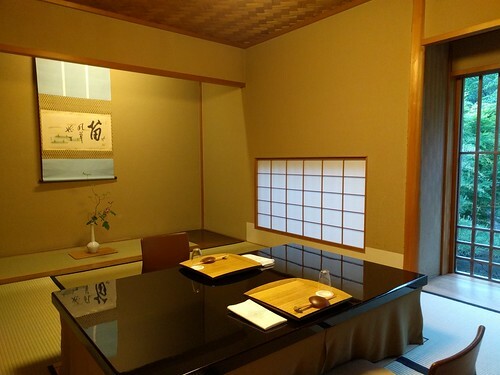 You also get a private room for your entire party and since the room is probably larger than a hotel room in Japan, it’ll feel very comfortable. Also, they change the decor of the restaurant to match the seasons so going back will likely have a different look and feel. The food was exceptional. Their ability to present all these different dishes, with various components in a variety of dishes/bowls/utensils was amazing. Every detail was well thought out and interesting. Flavors were complex yet delicious. 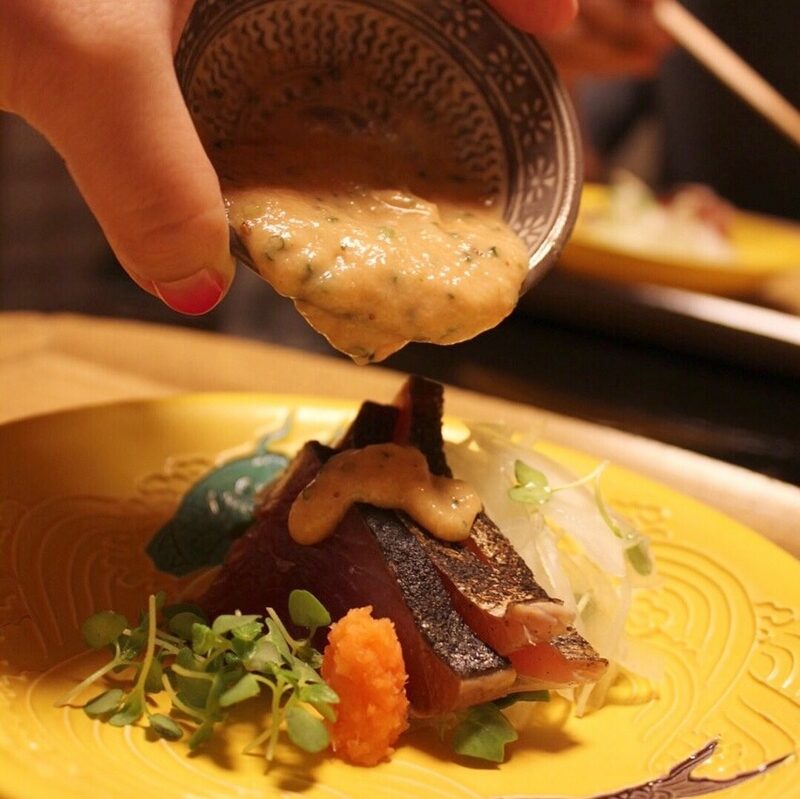 The best aspect of the experience was realizing that, between the private dining atmosphere and interesting dishes, everything felt natural and authentic. They were showing you who they were, and what they were all about in a fluid yet intentional and calculated way. Not all the dishes we are are in this post since there many, so I’m going to highlight a few instead. 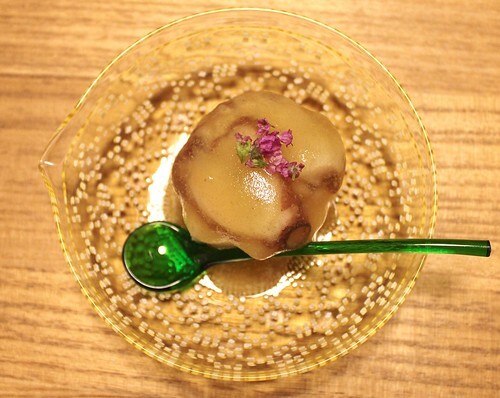 Gelee of mountain yam, octopus, shiso flowers, and wasabi jelly was incredible. Each component brought a different texture, and melded together so well. 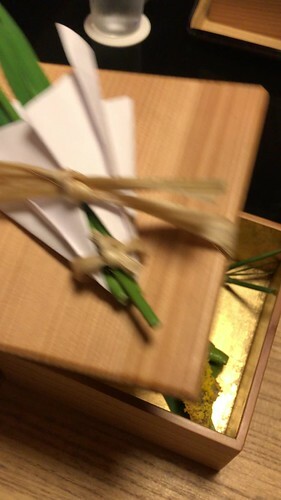 This box carried an assortment of appetizers: tai (red sea bream) sushi wrapped in bamboo leaves, anago eel rolled with a gourd strip, pickled myoga ginger (a type of Japanese ginger), tai roe terrine, marinated fried greenlings, edamame, pickled tai, taro and fermented soybeans. It was delicious and enjoyable, giving you a small taste of many things. 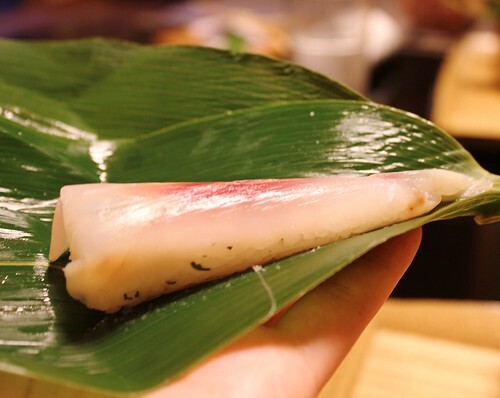 A close-up of the tai (red sea bream) sushi wrapped in bamboo leaves. 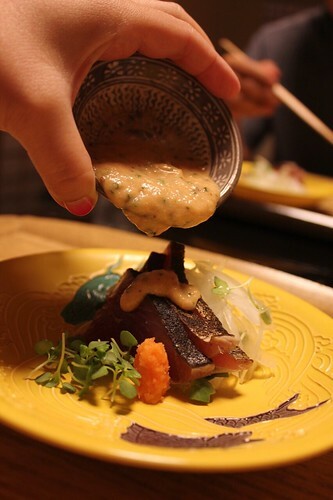 Sashimi seared bonito with shaved onion, shiso and radish sprout, ground red pepper radish and a ponzu jelly. Even though the sauce looks super thick and possibly overpowering, it wasn’t! It coated the vegetables and fish nicely, giving you a perfect bite. One of the most memorable dishes of the night – tea-steamed tilefish, with fresh green tea leaves, tea soba noodles, egg, shredded green onion, and ground red pepper radish. 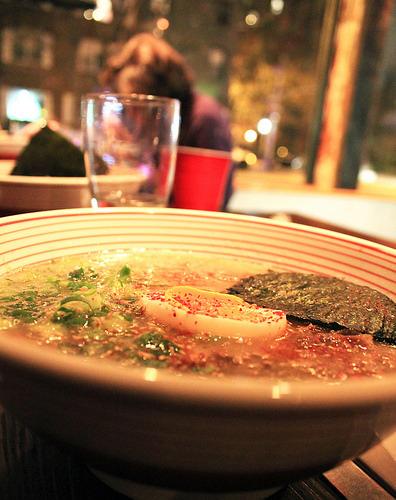 The delicate and flavorful broth that surrounded the tea noodles was out of this world. They tell you to break the fish so that everything in the middle releases into the broth. 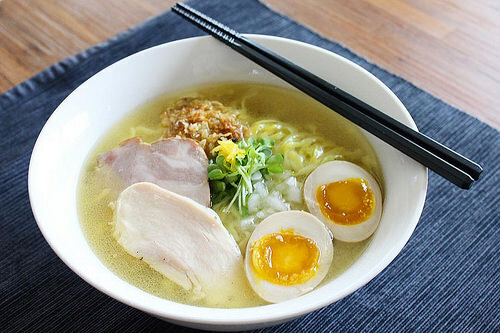 As you ate the this dish, the broth evolved due to the other parts of the dish incorporated within the broth. 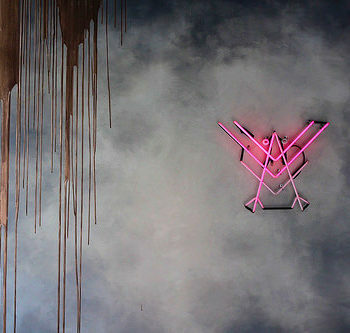 It changed it in a way that made it more bright but kept its lightness. Pretty much blew my mind. I’m not sure how it was made, but it was definitely well executed. 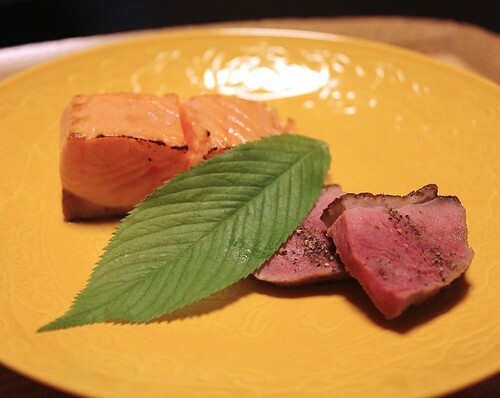 Grilled smoked ocean trout and duck breast dish was one of the best pieces of trout I’ve ever had – it was moist and tender. The smokiness of the trout gave it that extra char which adds that nice extra layer of flavor. 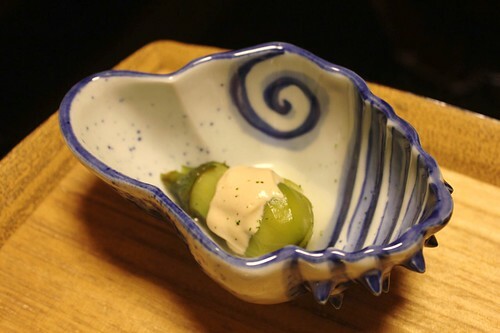 A jade eggplant with vinegar sesame dressing – the texture of the eggplant was perfectly tender. The sesame dressing was a nice contrast, so there wasn’t a loss in the texture and instead highlighted the nutty and sweet flavor of the eggplant. 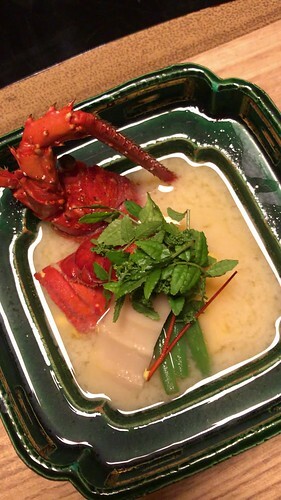 Spiny lobster was steamed in its shell, and placed into a lobster consomme with white miso, bamboo shoots, green beans, sansho pepper flowers. This lobster dish was also very well prepared and cooked. All the other vegetables were nice and soft, and provided a soft contrast of flavors against the richness of the miso and lobster. Of course, can’t forget about dessert. 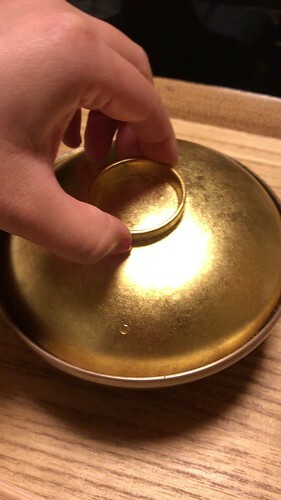 They gave us two desserts: one that is very traditional Japanese – warabi mochi in kinako powder – and you can find these in many snack stores in Japan; the other was a strawberry dessert, essentially gave me blasts of strawberry flavor in each bite, and was balanced out with a delicious milk ice cream. 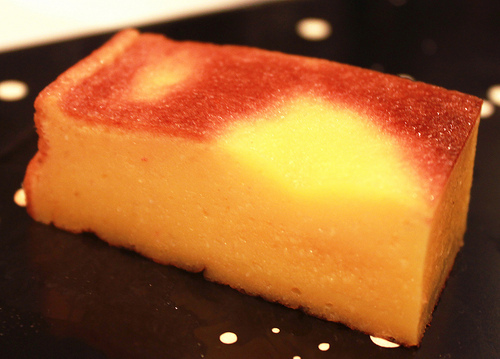 It was the perfect combination of sweets that I love – Western and Eastern styles! 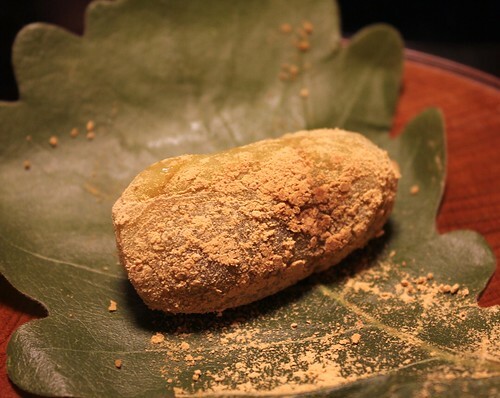 Warabi mochi covered in kinako powder, wrapped in a leaf. Milk ice cream and strawberries covered in strawberry sauce. 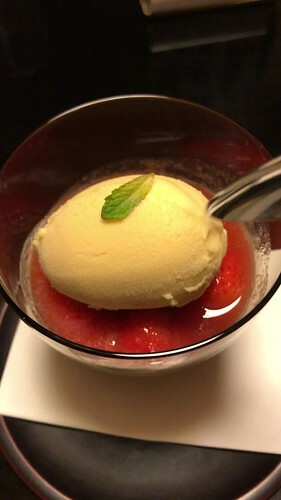 The essence of strawberry was so strong and sweet, which paired perfectly with vanilla ice cream on top. As simple as this is, it was incredibly delicious. I wanted to lick all of this off the bowl. Even though reservations are tough and it’s not the cheapest meal, I’d recommend going if you can. 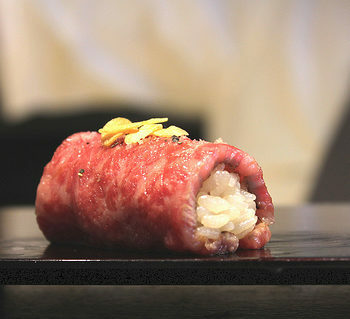 It’s a beautifully constructed, interesting and incredibly delicious meal highlighting what Kyoto produce has to offer. Gochiso sama! I’ll make note to say getting reservations wasn’t easy. The reservation was made in March and our meal was in May. While they have websites in a few languages, the English website felt unmaintained. The reservation section didn’t seem to change, and consistently reminded you that no reservations were available. The Japanese website experience, on the other hand, was a world of difference. Beautiful imagery of their meals flooded the main page, though their reservations required you to call them. That’s when I tapped my cousin’s on the shoulder. Admittedly I am very lucky, and through a series of calls and emails between my cousin and hotel, we were able to snag a table before they were released to the public. As I mentioned earlier, this wasn’t an easy process so I can only hope what I share here will help you get a table in the future. Yakiniku Champion (焼肉チャンピオン): Premium Meats, Japanese Eats!